It always upsets the home buying process whenever the appraisal comes back short of the contract price. Understanding the inside of how appraisals are figured will help the home buyer, home seller and Realtor. Appraisers are not the ones to blame, many cuts in appraisals are attributed to inaccurate measurements and data input in the MLS by the listing agent. A home seller will always think their home is worth more than what a market analysis shows. If you want your home to sell, listing it within the range of appropriate market value with comps that support that value is the key. If listed properly, there will probably not be an appraisal issue but you have to understand what you can and cannot count as sq ft of living space to get to that value. 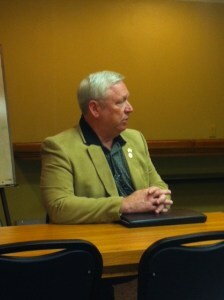 I recently attended a SW Louisiana Board of Realtors Learning Session where Mr. Pete Pauley spoke. Mr. Mr. Pauley has been an appraiser in SW Louisiana for over 35 years and also currently serves as Vice Chairman of the Louisiana Real Estate Appraisers Board. Here are some tips Mr. Pauley shared in this session that are helpful to understanding how your home appraisal value is achieved. Verify the sq ft and make sure the measurements are done correctly by the Realtor. Measurements are taken from the outside of of the home. 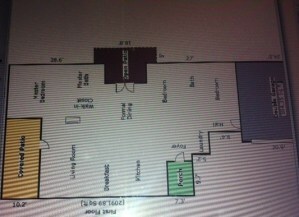 An appraiser will not include sq ft with a ceiling less than 5 ft. high. When listing your Lake Charles home for sale, your Realtor should measure your home and not rely on previous measurements from a prior sale in the MLS which could be inaccurate. In order to get value for an addition to a home, the addition must be in the original scheme of construction. You may close in your porch but if the roof is still slanted and you have to step down to enter the room, the value will be treated differently. Appraisers will probably give 50% of value for the additional living space. When using comps to establish value, don't use a comparative sale that is 300 sq ft. above the subject property. An appraiser will have to follow Fannie Mae guidelines which mandate comps no larger than 300 sq ft. larger than the subject matter. You will never recoup the total expense of a swimming pool. If you add a $40,000 swimming pool you cannot attribute $40,000 additional value to sell your home. Appraisers will usually give a pool the value of 6% of the total value of the house. So $12,000 would be value of a pool on a $200,000 home. Keep in mind that when a buyer is obtaining a loan to purchase a home, an appraisal will be required and is ordered by the bank through what is known as AMC (Appraisal Management Company). Appraisal Management Companies are mandated by the Federal Government. Mr. Pauley shared that there are 146 licensed AMC's and only 7 are in the State of Louisiana, so many Appraisal Management Companies are outsiders. Thinking of Buying or Selling a Lake Charles LA Home This Summer? Leave the Snow Behind when Relocating to Lake Charles LA! Do You Want a Country Club Lifestyle in Lake Charles, LA?